The Great Wine Cork Debate! Certainly there are advantages and disadvantages for both - like most things in life! 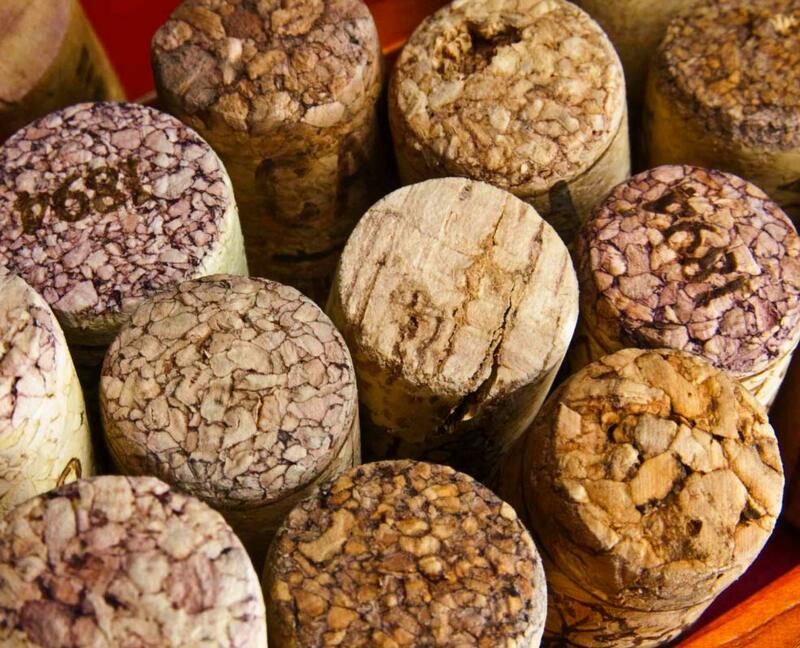 The second advantage of synthetic wine corks is simply economics: they're cheaper. Which might mean greater profits for the wine stopper industry (which really pushes use of synthetic corks) and to a lesser extent better profits for the wine maker, it's not such an advantage for the wine consumers. Synthetic corks don’t expand/contract within the bottle. Did you know that wine bottles - like most all types of glass - expand and contract with even slight temperature fluctuations? Why does this matter? Because unlike inert synthetic corks, natural cork expands and contracts alongside its bottle, maintaining an ideal and consistent tight seal between cork and bottle. And in wine-aging, consistency is KING! Synthetic corks can be difficult to remove, which is often a problem with synthetic corks after around 18 months in the bottle. You gotta wrestle that thing out! Synthetic corks can't allow small amounts of oxygen that help age bottled wine. Okay, so above I said a disadvantage of synthetic corks is possible exposure to oxygen. Now I'm saying a disadvantage is the wine NOT getting exposure to oxygen. What gives?? Well, it's all in the AMOUNT of oxygen we're talking about. If the cork is too loose, the wine is over-exposed, causing that dreaded oxidation. Yet without tiny seeps of oxygen, (which happens with natural corks, and does not happen with tight synthetic corks) most of the natural chemical reactions that occur during bottle aging simply cannot take place. Oxygen gets kicked out of the 'party' and without oxygen..there IS no party! Those delicious, mysterious 'aging flavors'? Impossible! As Stephanie Warren of Wine Vintage most aptly states: "In short, a synthetic-corked bottle doesn’t really “age”–it’s just taking up space in the cellar." So people can ping-pong this issue all night long...but for me, what's the fun of uncorking a piece of plastic from a wine bottle? None at all.